Digitalization and technological innovation are changing the nature of the job of the CIO. Leaders are rapidly scaling their digital businesses, making the remainder of this year and 2018 a defining moment for CIOs who don’t want to be left behind. 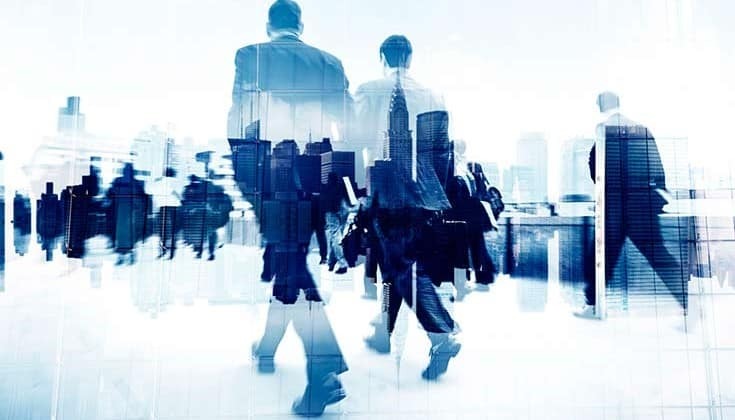 Gartner, Inc.’s annual global survey of CIOs showed that the CIO role is transitioning from delivery executive to business executive, from controlling cost and engineering processes, to driving revenue and exploiting data. Gartner analysts presented the survey findings during Gartner Symposium/ITxpo, which is taking place in Ontario through Thursday. The 2018 Gartner CIO Agenda Survey gathered data from a record number of 3,160 CIO respondents in 98 countries and all major industries, representing approximately $13 trillion in revenue/public sector budgets and $277 billion in IT spending. For the purposes of the survey, respondents were categorized as top, typical and trailing performers in digitalization. The survey results show that 95% of CIOs expect their jobs to change or be remixed due to digitalization. While world-class IT delivery management is a given, it will take up less and less of the CIO’s time. Respondents believe that the two biggest transformations in the CIO role will be becoming a change leader, followed by assuming increased and broader responsibilities and capabilities. Inevitably, the job of CIO will extend beyond the traditional delivery roles to other areas of the business, such as innovation management and talent development. The survey showed that a majority of CIOs say that technology trends, specifically cyber security and artificial intelligence (AI), will significantly change how they do their jobs in the near future. Cyber security continues to threaten the global landscape in 2018, and 95% of CIOs surveyed said they expect cyber security threats to increase and impact their organization. CIOs surveyed rank AI, followed by digital security and the Internet of Things (IoT), as the most problematic technologies to implement. Survey respondents agree that the most common pain point is the fact that these technologies, particularly AI, demand new skills, some of which can be hard to find. The survey found that growth is the No. 1 CIO priority for 2018, as reported by 26% of CIOs. The use of digitized products and services is expected to drive new forms of revenue, business value and engagement of customers and citizens. The challenge for CIOs is how to grow it to deliver economies of scope and scale. At least 84% of top CIOs surveyed have responsibility for areas of the business outside traditional IT. The most common are innovation and transformation. When asked about their success criteria, top CIOs report they are already close to the ideal split where more focus of their performance metrics is on business outcomes rather than IT delivery. Based on the top CIOs’ responses, the ideal balance is 56% of metrics related to business outcomes, such as revenue growth, business margins and influencing business strategy, and 44% related to IT delivery. The survey found that CIOs are spending more time on the business executive elements of their jobs compared with three years ago. In fact, CIOs from top performing organizations are spending up to four days more on executive leadership. The more mature an enterprise’s digital business is, the more likely the CIO will report to the CEO. In a change from previous surveys, respondents were asked to name the top differentiating technologies (in previous years they were asked about investment levels). Business intelligence (BI) and analytics still retain the top spot on the list, with top performers most likely to consider them strategic. Seventy-nine percent of CIOs report that digital business is making their IT organizations more “change-ready,” which suggests that now is a good time to implement change to the IT organizations, and, in turn, should make the transition to the new job of the CIO easier. The first part of the new job of the CIO is to build the required bench strength to scale the enterprise’s digital business through support for the digital ecosystem. This means hiring new resources to put in place the right digital team structures. Some CIOs favor a separate digital team while others make digitalization part of the day job of IT and the enterprise. However, 71 percent of the top performers have a separate digital team to help them scale their digitalization efforts. The most common structure for these teams is to report to the CIO, although the biggest difference between the top performers and their peers is in the CEO reporting relationship of these teams. Gartner Survey Confirms the Changing Role of CIOs 0 out of 5 based on 0 ratings. 0 user reviews.